Penelope Akk wants to be a superhero. She's got superhero parents. She's got the ultimate mad science power, filling her life with crazy gadgets even she doesn't understand. She has two super-powered best friends. In middle school, the line between good and evil looks clear. In real life, nothing is that clear. All it takes is one hero's sidekick picking a fight, and Penny and her friends are labeled supervillains. In the process, Penny learns a hard lesson about villainy: She's good at it. Criminal masterminds, heroes in power armor, bottles of dragon blood, alien war drones, shapeshifters and ghosts, no matter what the super powered world throws at her, Penny and her friends come out on top. They have to. If she can keep winning, maybe she can clear her name before her mom and dad find out. Nova (Grade: B) This book is equally enjoyable for middle graders and adults. The writing is fluid and sophisticated. It really well written. The plot starts off slow, about 100 pages, before things start to pick up. 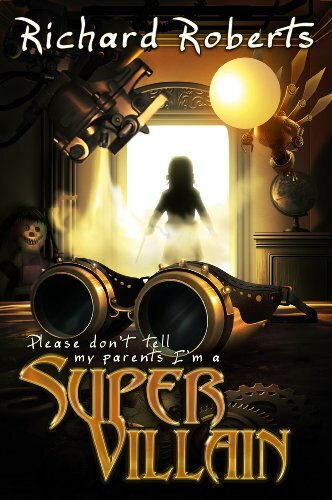 The story is about a young girl and her friends who come into their superpowers and are labeled super villains after an unfortunate incident. They roll with it and have some fun. Dylock (Grade: B) Excellent creativity Plot ride was too fast and too slow for my tastes. Too fast as in, unrealistic progress and major events weren't expounded. Too slow as in, the whole book was just about a girl's barely-resisted descent into unrealistic & childish villainy. Also, she never fails. The book doesn't attempt to take itself seriously, and neither is the reader expected to either.